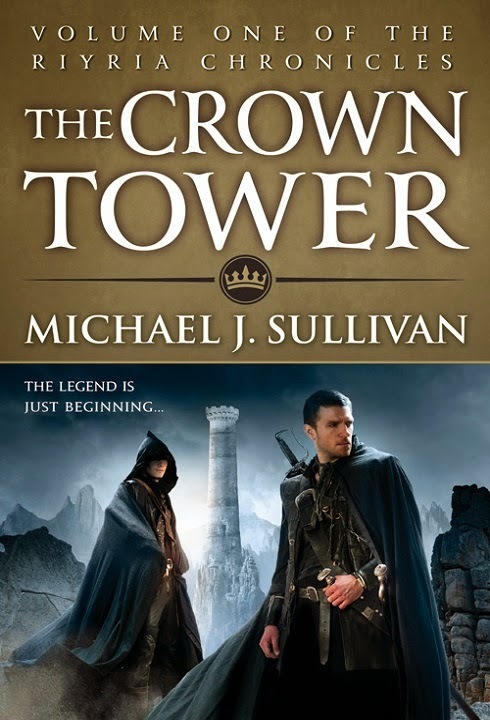 Author Michael J. Sullivan's Official Website: A high school student's opinion on modern Fantasy and Sci-fi. A high school student's opinion on modern Fantasy and Sci-fi. I saw this review for The Crown Tower through Twitter. It was very well written, extremely complimentary, and reminded me of one of the reasons why I write books. I love seeing people foster a love for reading. When they are still in school...it's even better! If it hadn't been for my brother introducing me to Tolkien's works, I might never have become a reader...and certainly not a writer. So to find Rebekah Drew is not only reading, but also blogging and helping others find books they might love, really made my day. I've been reading her reviews (both for my books and others) ever since I first saw her review for Theft of Swords back in 2014. We seem to share a lot of the same tastes in books (not surprising since I write books I like to read). And even when we disagree, I find she gives good support for her ratings of the books. Blogging, like novel writing, is primarily a labor of love, and I know it would really make Rebekah's days for some people to stop by her site, and see what she's saying about the books she reads. Who knows, you might just find your next great book to love and that would make me, and Rebekah very happy.